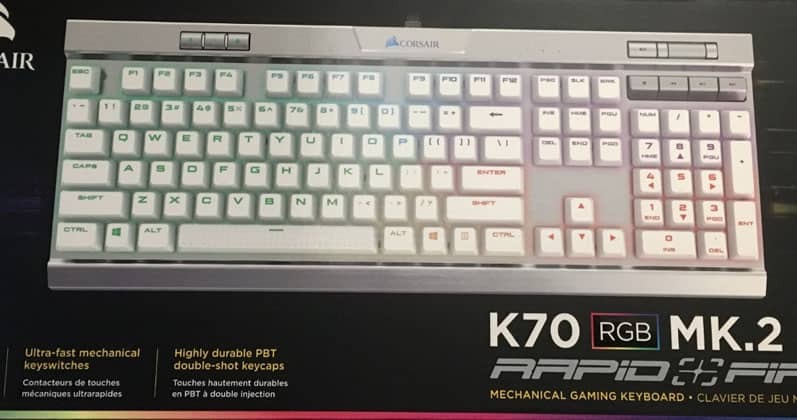 Corsair’s K70 keyboard has been around since 2013, seeing more than a few iterations over the years since its inception. It started life as the Vengeance K70, and such models like the Rapidfire and LUX – all replete with the standard RGB flair – have been derived from the K70. The Corsair K70 RGB MK.2 is another such progeny and is the keyboard we’re looking at in this review, specifically the SE model. 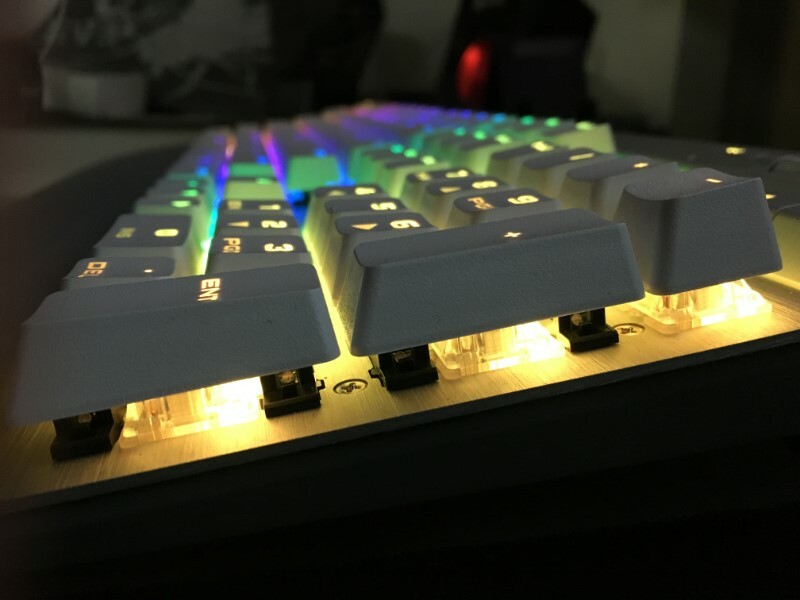 The K70 RGB MK.2 is the latest redesign for the popular K70, albeit more of a safe one; the K70 LUX and Rapidfire were more significant overhauls, adding new keycaps, new keys, and the debut of speed switches. It’s perhaps better to look at the K70 RGB MK.2 as more of a refresh, then. 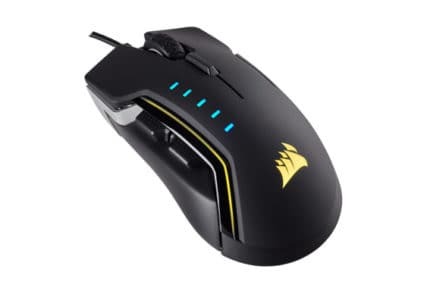 Choosing not to reinvent the wheel and taking more of an “if it isn’t broke, don’t fix it” approach, Corsair has made some modest tweaks to an already excellent foundation, and feels the changes are worth the MK.2 designation. Let’s see. 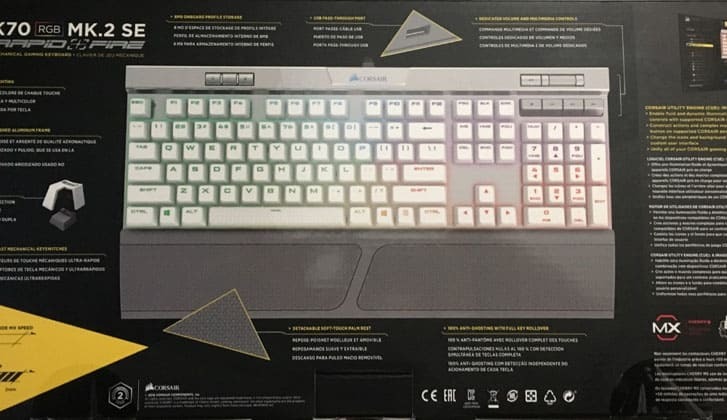 The packaging is the standard affair for Corsair. It’s the same yellow and black you’ve seen before if you’ve bought a Corsair product. It offers a mostly life-size picture of the keyboard on the front, along with pertinent information along the sides and bottom edges. The back offers more detailed information. Inside the box, you’ll find the keyboard, detachable wrist rest, and documentation. For some reason, the SE model doesn’t come with the keycap puller and FPS/MOBA keycap sets. However, a set can be obtained here. With the exception of the SE model, the K70 RGB MK.2 doesn’t look all that much different from its predecessor. The SE model stands out the most, as it diverges from the black/gunmetal color and opts for a silver hue. It also uses white, double-shot PBT keycaps. This certainly gives the keyboard a premium feel and helps justify its premium price at $180. If you’re looking to learn more about double-shot keys, this Reddit thread is a great resource. Also, here is an imgur thread by the same author. Corsair also offers sets of double-shot PBT keycaps on their website. The K70 MK.2 still uses an aluminum chassis and gives it the familiar heft of other Corsair keyboards. One noticeable difference is the Corsair logo at the top. Previously, this was just a plastic adornment, but now is a translucent cutaway that features RGB illumination. The wrist rest remains mostly unchanged, although it does offer a more rubberized feel, and is slightly bigger. Corsair’s wrist rests aren’t as plushy as say, Razer’s, but that is also a matter of subjectivity. Underneath the chassis, Corsair as redesigned the bottom plate with a cable routing system, presumably to accommodate wired mice or headsets. Those who shuffle their keyboards around likely won’t find this feature useful, but it is a thoughtful change. 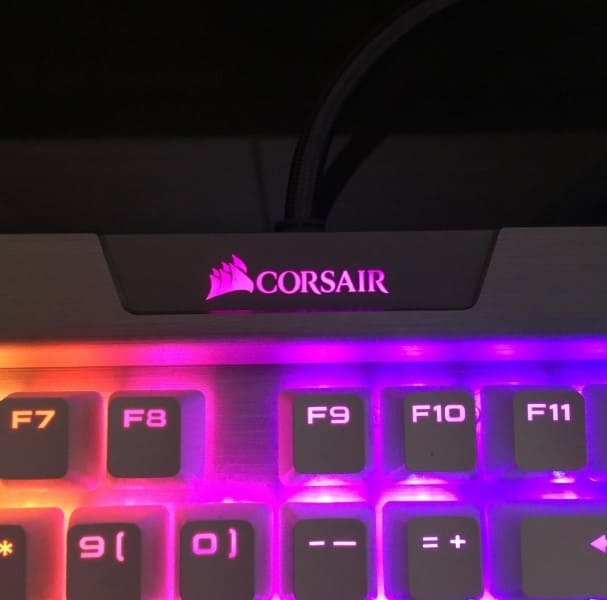 Corsair did relocate the dedicated media keys, bringing them over to the right side of the keyboard, and enlarging them just a bit. In place of the media keys on the left, we now have a profile switch that allows for swapping profiles. Additionally, onboard memory for profile settings has been increased to 8MB. Alongside the profile button, there’s a button to adjust brightness and a WIN lock key. When it comes to keys, Corsair still only offers Cherry MX switches — which we’re not complaining about. 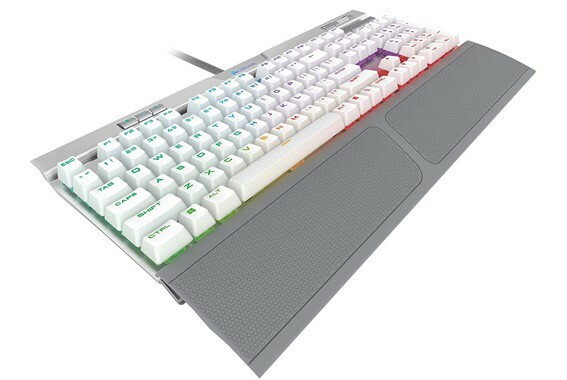 Although, unlike the K70 Rapidfire, the K70 MK.2 offers a more comprehensive selection. 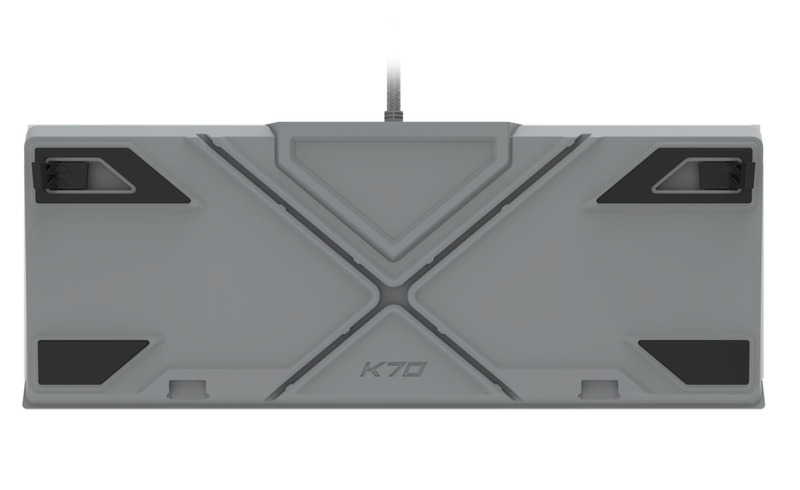 With the K70 MK.2, Speed switches (Silver), Red, Brown, Blue, and Silent can all be had. The keycaps themselves retain the floating, raised design found on previous Corsair keyboards, which adds a bit of flair and is also intended to ease cleaning. As usual, the K70 MK.2 uses Corsair’s iCUE, which is a familiar tool for those that use Corsair’s products. iCUE comes with both a learning curve and more than few eccentricities. While the software could stand to be a little more intuitive, once you learn your way around, it offers a broad selection of features. You can set up different lighting effects such as static, ripple, and rainbow. 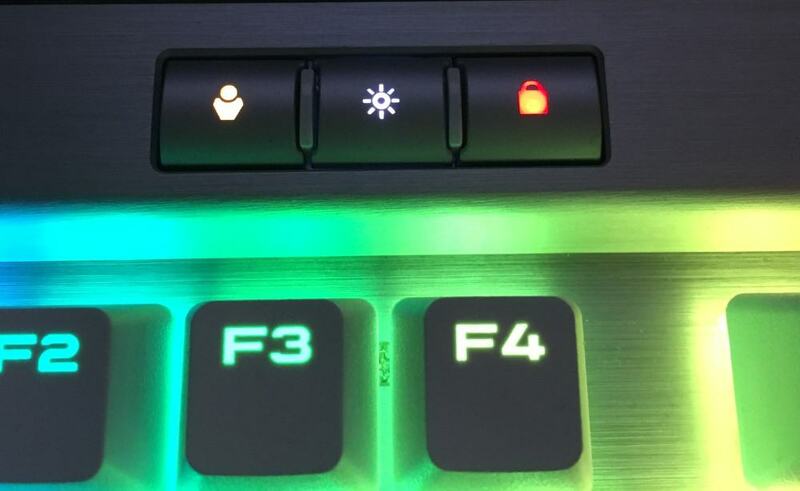 You can also set different keys to illuminate different colors statically. For instance, changing the color of the WASD keys can help you locate them in the dark. If you’ve got a Corsair mouse or headset, you can sync lighting effects between them, as well. 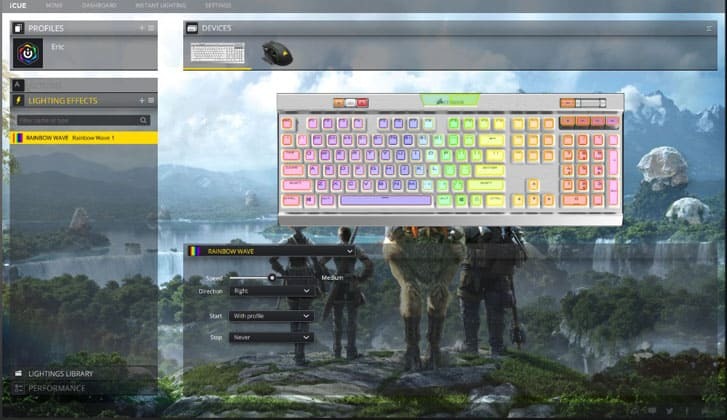 Corsair has also started to work with game developers to bring game specific lighting to their keyboards and peripherals. Most recently, this can be seen with Far Cry 5. As mentioned above, the K70 MK.2 is available with Cherry MX Red, Blue, Brown, Silent, and Speed switches. The unit we’re using has the Speed switches, which aren’t drastically different from the Reds. The biggest difference is the actuation point; where the Reds actuate at 2mm, Speed switches actuate at 1.2mm, enabling slightly nimbler key pressing. If you’re accustomed to using the Red variety, chances are you’ll acclimate just fine to Speed switches. I’ve used the Speed switches for both typing and gaming, ranging from daily writing – like this – to playing games like Destiny 2 and Pillars of Eternity II: Deadfire. The quick, linear presses are appreciable, and they don’t particularly favor one genre over another. The Speed switches offer a responsive and springy experience, especially if you can tune your fingers to them. The idea behind these switches is you don’t need to bottom them out, ideally gliding over them with lighter presses. Indeed, getting used to Speed switches takes a bit of sleight of hand. The K70 RGB MK.II doesn’t deviate a lot from previous iterations, but the changes count. One of the most important changes is the broad variety of switches now on offer. 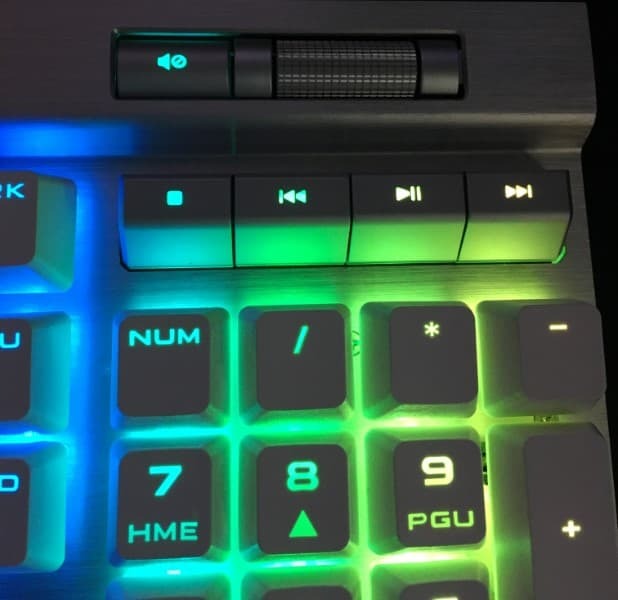 This will invariably help Corsair land the K70 in the hands of those who previously held out because they couldn’t fill the keyboard with their favorite switch type. Additionally, Corsair does break away from their traditional design conventions by offering a Special Edition that’s silver and white, diverging from the standard black and gunmetal aesthetic. Speaking as someone who’s long loved the black, gunmetal, and monochrome approach – the silver and white is quite striking. The silver chassis adds a reflective glow to the lighting you can’t quite appreciate until you see it. That said, this is a premium product, so you should expect to pay a premium price for it. The SE model comes in at an MSRP of $180, making it a very expensive keyboard. 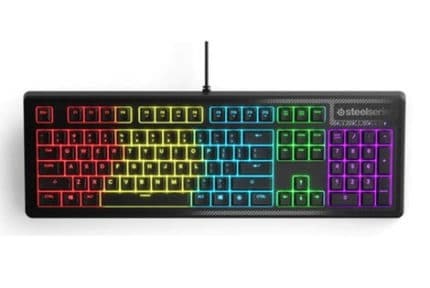 The standard K70 RGB MK.II can be had for $170. Granted, this will be a deal breaker for some, but a premium keyboard is an investment. Otherwise, the K70 MK.II is a mild refresh on an already excellent plank. Retaining everything that has made the K70 great so far, the K70 MK.II is a beautiful keyboard that offers one of the best typing and gaming experiences around. For more on mechanical keyboards, check out our most recent picks, or head over to our gaming keyboard section. The Corsair K70 RGB Rapidfire MK2 gaming keyboard is one of the best gaming keyboards that you can get right now. It looks good, feels good and offers a lot of features for the price.